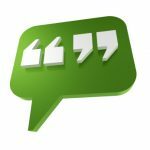 GBB was selected by Prince William County, the second-most populous County in Virginia, located about 35 miles west of Washington, DC, to explore the renewable energy technologies available for use on the County landfill. For technologies found to be applicable for the site, GBB investigated their technical requirements and limitations, order-of-magnitude costs, revenue potential, market maturity and acceptability. GBB also analyzed and presented implementation options for the Prince William Eco-Park, including ownership options, financing and cash flow implications, risk allocations, management roles and requirements, procurement implications, and present the options to the County. GBB assisted with the development of solar and/or wind energy project(s) at the County landfill. The project included the procurement of a full-service design-build-own-operate developer or developers of such project(s). In coordination with the County, GBB developed and issued an RFP for the project(s) and assisted the County in evaluating responses, recommending the most advantageous project or combination of projects and negotiating a development agreement with the selected developer(s). The RFP described the opportunity for potential developers, who could then submit their qualifications and complete technical and financial proposals. The County planned to involve both the Eco-Park Development Advisory Team and the Citizens’ Advisory Committee in this process. GBB provided technical assistance to the County, as well as support and coordination of the activities of those two special groups. GBB provided the general program planning and management tasks preparatory to the implementation of the renewable energy projects envisioned in the Preliminary Eco-Park Concept Plan. Work included finalizing the development plan, program and development team, supporting the County and its advisory groups in the development of the final plan, creating an overall site development plan, negotiating arrangements with respect to landfill gas availability, electrical interconnection and academic support for the proposed Sustainability Center, and performing other analyses and general tasks related to program management. GBB assisted with the development of a demonstration plant (≤100 ton/day) of an emerging MSW WTE conversion technology (e.g., pyrolysis, gasification, anaerobic digestion, plasma torch, etc.) at the landfill. The demonstration plant will be part of the PWREP. The first step of the procurement process identified and described the opportunity for possible developers and the second step involved asking a short list of qualified potential proposers for a complete technical and financial proposal. The County planned to involve both the Eco-Park Development Advisory Team and the Citizens’ Advisory Committee in the process. GBB provided technical assistance to the County, as well as support to and coordination of the activities of those two special groups. 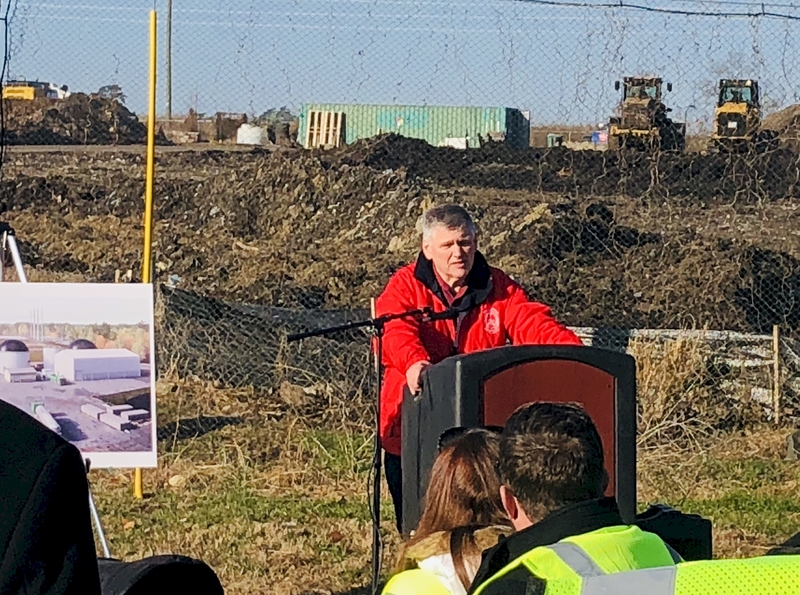 Thomas Smith, Prince William County Solid Waste Division Chief, addresses attendees at the groundbreaking ceremony on December 11, 2018. The County officially started construction of a brand-new facility to process yard waste, food scraps, and wood waste in December 2018. Phased construction of the new facility should take approximately two years. As per the innovative 20-year public-private partnership (PPP) agreement with a Northern Virginia-based firm, which includes extension options, organic material currently received by the County are processed by the contractor using existing processes while the new facility is under construction. GBB has been working closely with the County on the procurement process for this new state-of-the-art organics facility. Among the expected benefits of the PPP are the creation of 20-25 jobs, increased organics processing capacity, increased recycling rate, extended landfill life, and setting a solid foundation on which to build a comprehensive County-wide organic waste management program. Visit Prince William County’s website to learn more about the Eco-Park or watch this 2-minute video!